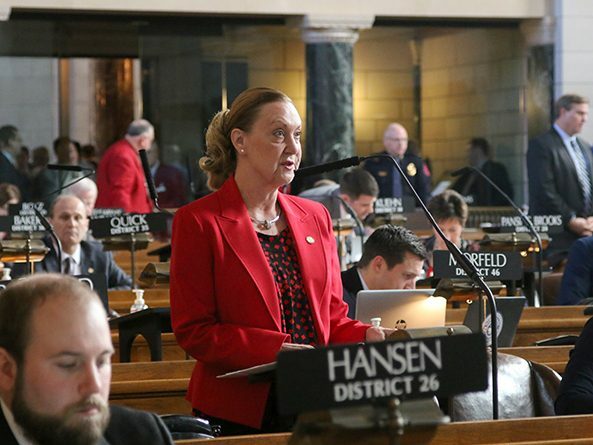 Sen. Joni Craighead of Omaha announced her resignation from the Legislature Sept. 1, citing family and work commitments. A bill that requires mammography patients to be notified of their breast density was given final approval by lawmakers April 24. Lawmakers gave first-round approval March 8 to a bill that would require mammography patients to be notified of their breast density. The Revenue Committee heard a bill Jan. 18 that would allow first-time home buyers in Nebraska to deposit money in a dedicated, tax-advantaged savings account. Restrictions on asset expenditures by sanitary and improvement districts (SIDs) that have received notice of annexation were approved Feb. 18.